This 90-minute thrill ride takes you into the most dangerous place on earth: parenthood. 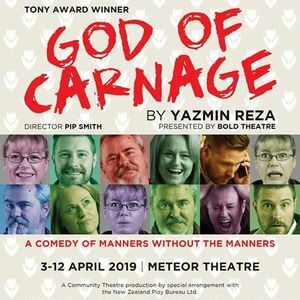 An innocent squabble over a playground incident becomes an all-out, fur-flying, hilarious brawl between two couples in this magnificent play from Yasmina Reza. 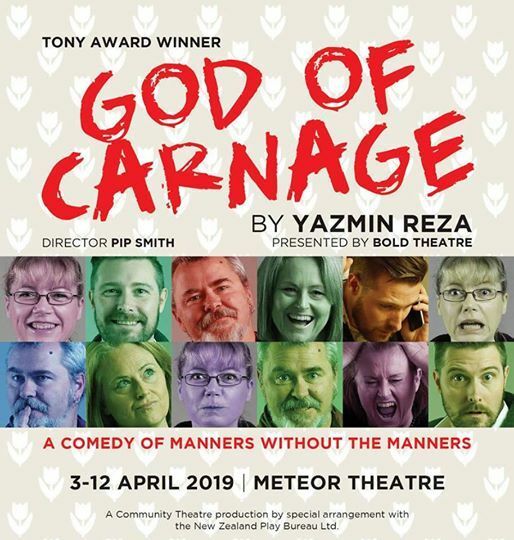 God of Carnage stormed Broadway, nabbing the 2009 Tony for Best Play and has since been made into a film staring Jodie Foster, Kate Winslet, Christoph Waltz, and John C. Reilly. Come see four of Hamilton's finest and feistiest performers leave everything on the stage. Literally.